Pavel is a superb guide. He made us feel so welcomed and at home in his country. He accomadated all of our requests and made the tour so flexible given that we were travelling with children. He even interacted a lot with them to make them feel comfortable and less cranky. He is very knowledgeble about his country and gives u a lot of advice & solution ranging from food, places to visit, economical suggestions and things for children to do. Loved both our tours with him & recommend him anytime. Pavel picked us up on time in his nice van with all of our luggage and took us everywhere we asked to go. He arranged a specific program just for us and spent the day driving us along the Elbe river from Dresden to Prague. He stopped as we asked and we visited Basteibruke and Terezin. He took us to interesting areas and explained the history. We had a nice day with safe driving and enjoyed learning about his country, the Czech Republic. Nous sommes allées 5 jours entre Noël et nouvel An pour découvrir Prague. Sans Lenka, cela aurait été impossible tant il y a de choses à voir. Elle est merveilleuse : à l'écoute, disponible, patiente 😇 Pourtant ce n'était pas simple pour elle de gérer des visites avec des besoins et des envies différents (de 16 à 65 ans) et moi qui posais pleins de questions tout le temps 😬 Nous avons fait 4 demies-journées et 4 thématiques différentes, Lenka nous donnait les infos pour prolonger notre découverte sans elle et nous permettre de ne pas passer à côté des choses à voir / à faire. Quoi de mieux que d'être considéré, respecté et ne pas être pris pour des portes-monnaies ambulants. Merci beaucoup Lenka 🤗, je ne manquerai pas de te recommander encore et encore (ce que je fais déjà d'ailleurs) nous sommes revenues avec des souvenirs pleins la tête grâce à toi et nous programmons bientôt une nouvelle visite pour voir Prague en une autre saison (pour faire les jardins par exemple 😊). En tout cas ce ne sera pas sans toi, c'est certain!!! Lenka is fantastic. 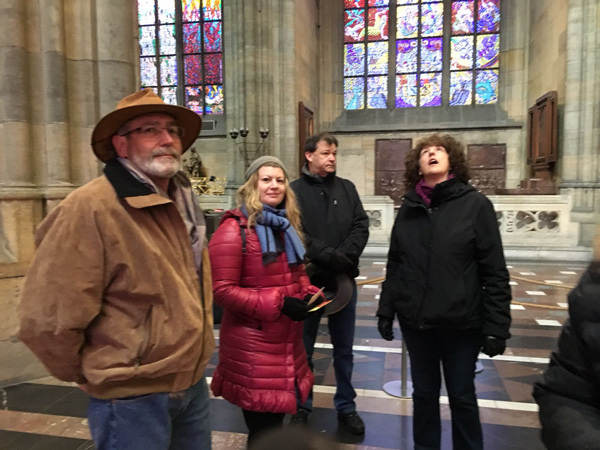 My husband and I went to Prague in December with friends who had been there before. Lenka was so kind and informative. She handled the “newbie” questions from us while giving us in-depth insights into the historical significance of each place we visited. 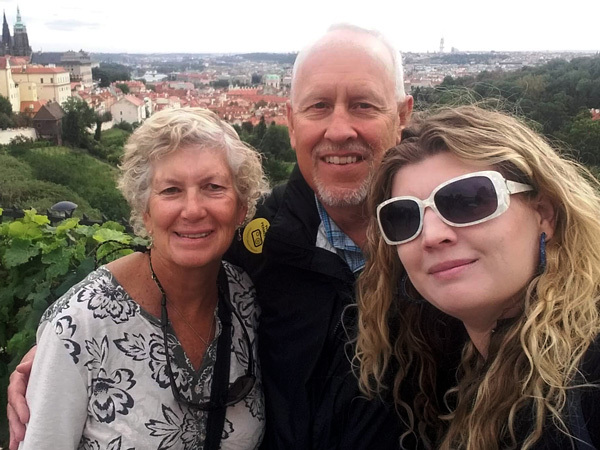 We loved the tour of Prague on our first full day there. We left the city on day 2&4 to visit our choice destinations within 1.5 hours by vehicle. Lenka and our drivers were very patient and accommodating to my health and movement issues. Lenka was very flexible with our 4 person group as we added stops along the tour. Lenka will always be the first tour guide I contact when booking a trip that includes Prague or the Czech Republic countryside. And I highly recommend, always spend time in the CR on European trips. I really enjoyed the winter season to travel. 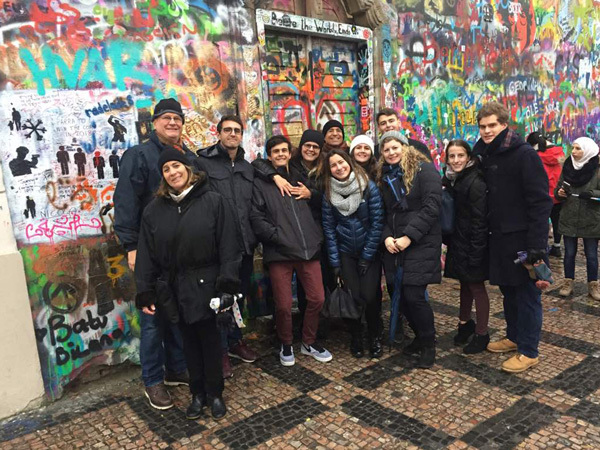 Lenka gives private group tours at a very reasonable cost. She also gave excellent recommendations throughout the trip. Live bands, shows, restaurants, and places you’d never find without her. She took us to a small, totally off the map cafe. She had to read the entire menu to us in English and some of it multiple times. We each ordered a dinner, that was big enough for the 5 of us, and the bill was so low we thought it had been split in half. Nope. Best meal and one of the most reasonably price. All the food was great and affordable. I love that about Prague! Lenka is a wonderful guide and I can’t wait to go back. December 2019 or 2020! Pencil us in! Don’t forget to tip! 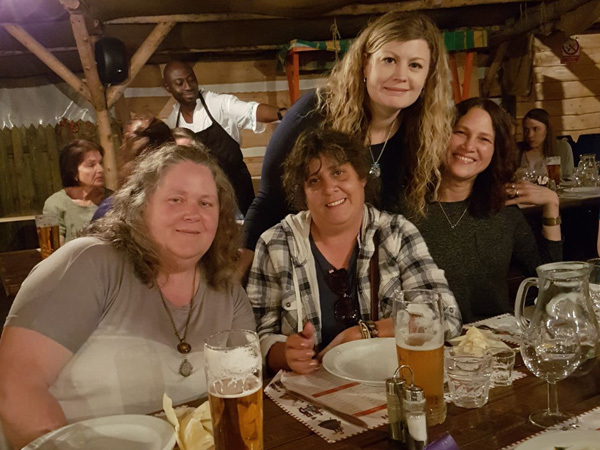 We engaged Lenka for a half day walking tour of Prague in April 2017. We enjoyed the tour so much that we also engaged her for an additional tour the following day. If we would have had the time, we would have done the same on a third day too! 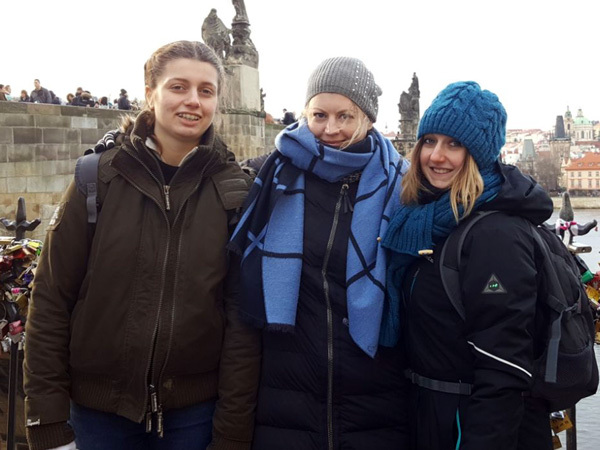 Lenka is a passionate about her city, is incredibly well-informed, and brings a wonderful ability to build a bespoke itinerary that both showcases the best of Prague and matches the interests of her clients. She took us to all the major tourist attractions (at the best time to avoid the crowds) but also took us off the beaten track to lesser known, but just as impressive, sights - many of which remain our favorite memories from that visit. She also has a fabulous knowledge of where to grab a great coffee or lunch! I will recommend her to all my friends that visit Prague. Estuve en Praga el pasado junio por segunda vez y esta vez decidí contratar un tour guiado por la ciudad para conocerla mejor y resultó que la visita guiada superó mis expectativas. Lenka es muy profesional y además muy simpática lo que hizo que la visita resultara más amena y divertida. Con ella conocí la ciudad, todos los sitios importantes y además otros rincones de la ciudad menos conocidos e igualmente interesantes. Además de las interesantes visitas, Lenka me proporcionó detalles y curiosidades de los lugares visitados que hicieron de la visita una experiencia inmejorable. He visitado otras ciudades europeas y realizado tours guiados y no recuerdo ninguno con tantos detalles locales e historias interesantes. Si vuelvo a Praga, tengo claro que no dudaré en contratar de nuevo sus servicios para recordar la historia de la bonita ciudad de Praga y seguir descubriendola. I went with my niece to Prague for three days before starting our river cruise. Because we had such a short amount of time to spend there, she arranged for Lenka to be our personal guide. She met us at our hotel the first day and gave us an extensive overview of the history and architecture of the country and Prague specifically. She definitely has an encyclopedic knowledge of Prague history. As a result we were able to absorb a greater depth and appreciation of what we were looking at and we never felt rushed. 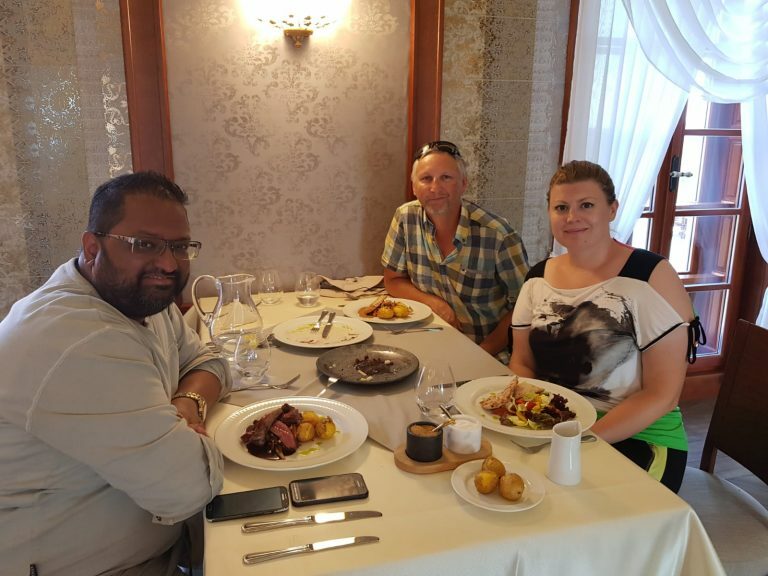 For me personally, hiring Lenka as our personal guide kept us from just wandering around wasting time and energy trying to find areas on our own and missing a great deal in the process. She always took us on the most convenient paths and included the most interesting "hidden" treasures and places to eat. Because she was so relaxed herself, it was easy to relax ourselves over lunch or an afternoon break to get to know her a bit also. She is a sweet lady who is very skilled and knowledgeable. She also takes the time to find out what limitations her clients may have and is always considerate of that. This is the first review I have ever given on an experience and I give Lenka rave reviews on every aspect of my time with her! She is just the best at what she does! Lenka showed my partner and I an incredible time in Prague! She was referred to us by a friend who had driven through Prague while on a tour with her and had a great experience. She picked us up at our hotel and taught us about the history, art, culture, food, architecture, and politics of Prague. We walked through the gorgeous city and took in everything it had to offer. Overall great experience and I would highly recommend Lenka to anyone looking for a private tour! It is with enthusiasm I recommend the guide services of, Lenka Diaz and her company, Prague Tours by Lenka. My husband and I traveled with a small group through seven different countries last year. I have to say honestly, one of the highlights was meeting, Lenka. 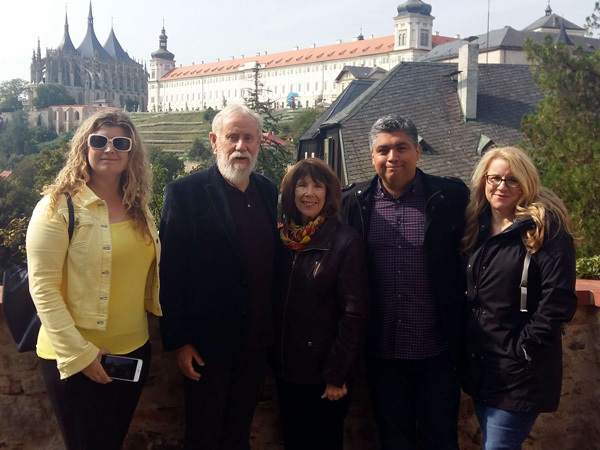 Not only is her knowledge of Prague and the Czech Republic inspiring, she is a history buff, so was able to share many details of what the areas endured throughout history. Lenka catered to our every need with professionalism, attention to detail, and humor, which made working with Lenka a true pleasure, one we will certain do again! 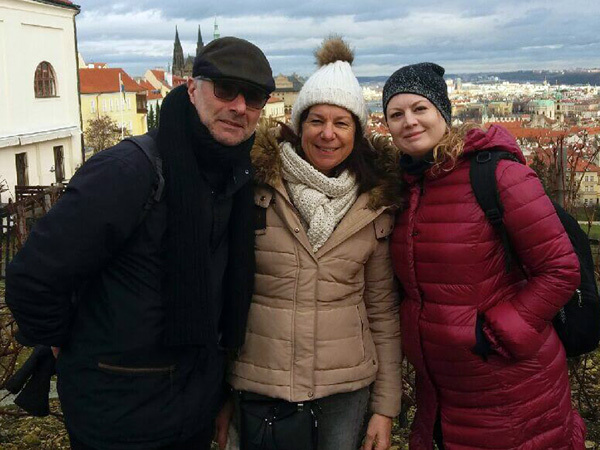 If you are traveling to Prague or the Czech Republic, we highly recommend Lenka and, Prague Tours by Lenka! Touring with Lenka is like visiting the city with a friend. My husband and I travelled to Prague for our second time during the Christmas Markets this past year. Both times we were fortunate enough to work with Lenka as our tour guide. 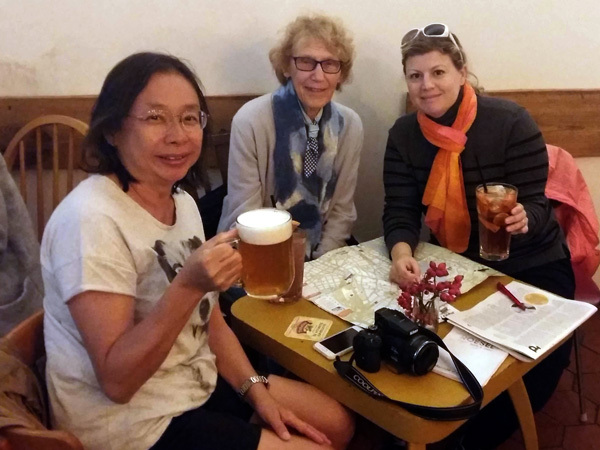 Lenka is warm and welcoming and is open to personalizing any tour to your group's interests. She is a very interesting person who is highly skilled and passionate about her work. On this trip we had two friends with us. 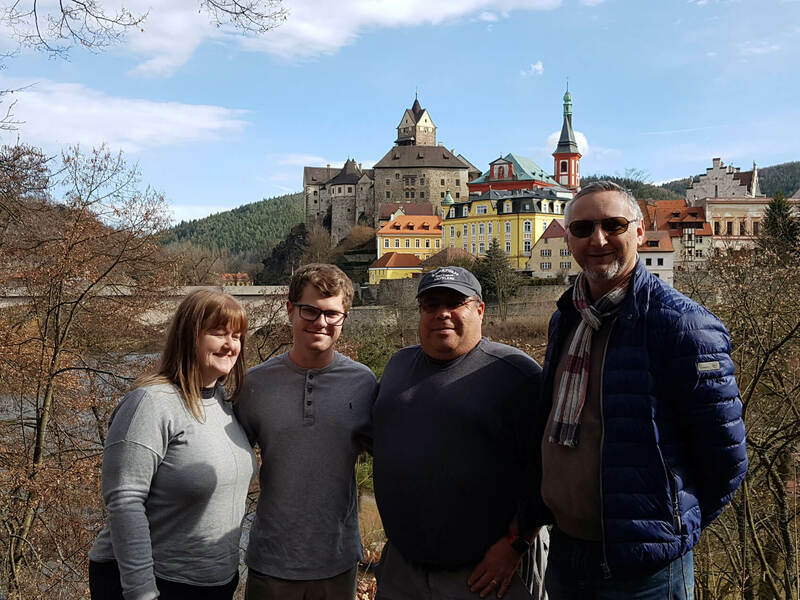 We used her services for airport transfers, a city walking tour and two excursions outside of Prague; Kutna Hora and Karlstejn Castle. Everything Lenka promised went exactly as planned. Our favorite tour was Karlstejn Castle. The surrounding countryside is absolutely stunning and the tour of the castle was intriguing. (On our last visit, Lenka took us to Cesky Krumlov. This village is straight out of a fairytale. One of our all-time favorites!) When planning our next trip to Prague we will definitely make contact with Lenka again.